Is It Any Good? Superman Returns (2006) – AiPT! After Christopher Reeve’s Superman run had ended, it had been a long time since we’d seen the red caped hero on the big screen. This week, I decided to tackle a film in the superhero universe that audiences are very split on: 2006’s Superman Returns from Bryan Singer. Now, I realize exactly why it is so polarizing. What side you fall on really depends on one thing: do you like your superhero films to have more depth and heart or would you prefer loads of action in place of that? For me, while I do of course wanna see action and intense scenes in a superhero film, having depth and good heartfelt sentiment is something I really need in order for it to be great. In this review, I will address why I think Superman Returns is one of the best superhero films ever made and I’ll also cover why I think it’s gotten so much unwarranted hate. After Christopher Reeve’s Superman run had ended, it had been a long time since we’d seen the red caped hero on the big screen. Warner Brothers got director Bryan Singer to direct a new Superman film starring newcomer Brandon Routh. (And let me just make a quick comment on how damn identical Routh is to Reeves. It’s almost shocking.) So anyways, why exactly do I think this film is deserving of being called one of the best superhero movies? There’s a number of things, and also just to clarify, I’m not saying it’s the best one ever, but it’s certainly up there amongst the best. So first of all I wanna talk about the striking visuals. The visuals in this film are beautiful, and they don’t rely too heavily on CGI. I mean of course CGI is used, but not to a point where I just feel it’s too much. The main thing regarding visuals that I loved so much was the Fortress of Solitude and the huge fortress created by Lex Luther later on; both of these look so great. The plane crash sequence is also very well done visually, and is the most high octane scene in the film. Another thing that I was so immensely pleased with was the casting. Brandon Routh was such a perfect decision for Superman/Clark Kent. Not only did he have the perfect look for the part (extremely handsome and charming, and even the right facial structure), but he also did very well with portraying this hero as a tender kind person that just happens to be a hero and have powers. And I for one really love that portrayal, because I need to be able to give a s--t when something bad happens to you. I also really like Kate Bosworth as Lois Lane. I never understood why people complained about her and said it was a horrible casting choice. Bosworth was very believable as Lane, I especially liked the chemistry between her and Routh. The romance subplot between them is very well done. Some may say too much attention was given to this and not enough to action, but I think there was a healthy balance. Plus, there are so many hero films that have non stop action. What’s wrong with something that’s much more serious and has more depth? As far as the rest of the casting goes, Spacey was pretty good as Lex Luthor, he wasn’t like the best villain ever, but he got the job done. Of course, knowing what we know now about Spacey, it makes him seem more evil, I hate it because Spacey is a great actor, but there is ultimately no excuse such behavior. Okay anyways, back to the review. Really the only flat out negative is Luthor’s team or helpers or whatever you call them, they might as well be props, they are just flat, useless characters. Also, I think maybe the finale with the villains could’ve been handled better. I recommend this film as one of the best superhero films I’ve seen. The cast and writing is what makes this film so good, lovable leads that give great performances and writing that gives both them and the plot depth. And the visuals are top notch, I love the imagery used here. I suggest this to all, but especially to those who want a deep superhero film with a lot depth. 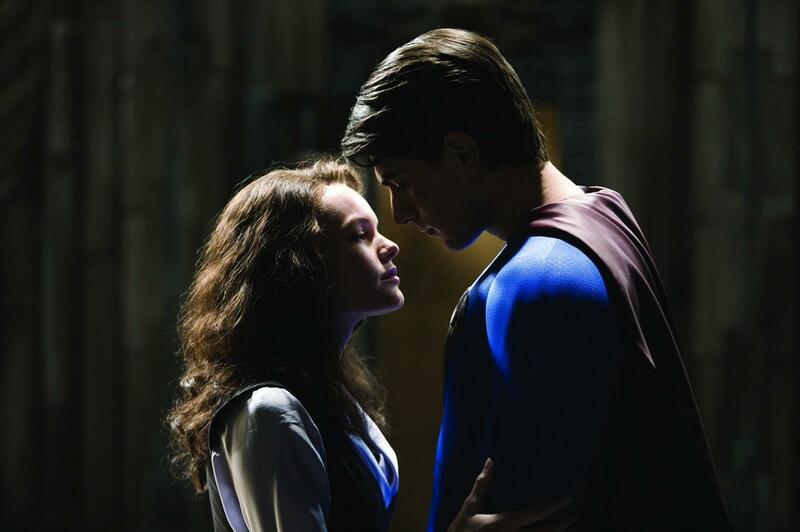 Superman Returns is a mature, well made superhero film that features good performances and a script with depth. The Conjuring 2 Review: Another awful sequel?